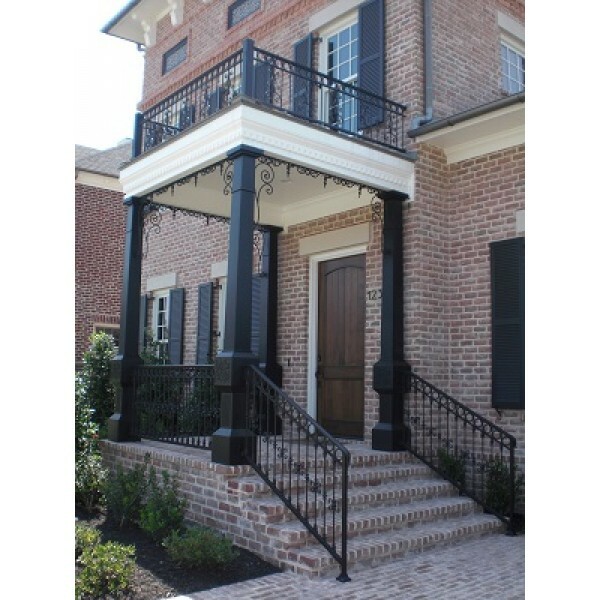 An architectural masterpiece, complete with rail around the upper balcony detailed with a heavy gauge top rail with an O ring border framed with decorative detail on the vertical design. Along the ceiling of this porch we created a valance friezes with interesting dropped detail and corner post accents. The lower hand rail was coordinated with a smaller design component on the vertical but a matching O ring border and top rail.